This is where you will find a listing of tournaments and other events available to members of the Moose Mountain Karate Club. Participation in tournaments and workouts is strongly encouraged for everyone, regardless of age. There are many benefits in attending these events including building your skills by observing the different components of the tournament and participating in the workout as well as meeting new people who are positive and encouraging and who share a similar interest – karate! Many of these new people will become your “Tournament Buddies” whom you’ll look forward to seeing at following events as you progress through your training. As you move up in belt rank, tournament participation is an expectation and requirement for advancement. Take the opportunity to attend the tournaments that are nearby! This is our “Home” tournament. Banquet following the tournament on Saturday!! Kuzina Restaurant, Carlyle. 2017/18 – Dates and locations may change. This page will be updated as changes occur. Banquet following the tournament on Saturday!! Home made food! $15 per person/$10 per person under 12. Banquet sign up deadline is November 17, 2017. 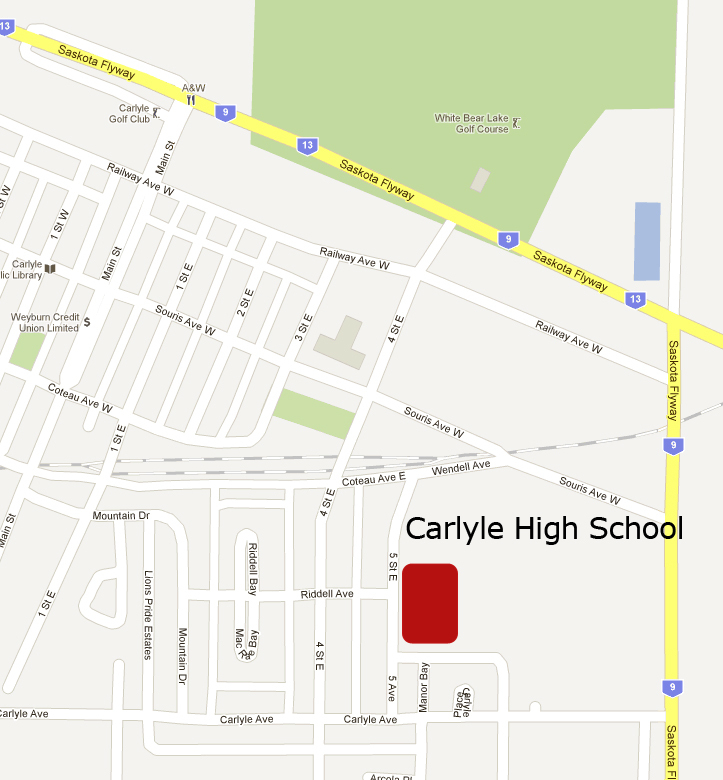 This is the first time that Carlyle will be hosting a formal Black Belt grading. We look forward to the visiting karateka, participants, yodansha, and joseki board members, and wish everyone the very best as they work hard to achieve their next rank. Banquet following the tournament on Saturday!! Home made food! $13 per person/$10 per person under 10. Banquet sign up deadline is November 20. Sensei Alby calls this a “Learning Event” for all belt levels. It is a fantastic, small event, for our young karateka to develop ring experience and confidence. It is also a great place for Brown Belts and newer Black Belts to work on judging techniques. It is an excellent and enjoyable event that is close to our home dojo. Sensei Alby will be holding a Self-defense workshop beginning at 10:00 am. This is an excellent workshop to learn effective self-defence techniques for a variety of situations. After lunch, the workshop will move into Kata and Kumite events. Just like a regular tournament, participants will be divided into categories and will perform their kata and kumite and receive instruction on technique, and ring etiquette and techniques. This is how Sensei Alby describes it. This is a simulation tournament, and, as much as possible, a teaching event. Higher Kyu belts and junior Black Belts are encouraged to attend, to give them experience at corner judging. SWKKF rules apply. Remember, a disqualification means you are out of the event. This is an excellent, full-scale Saskatchewan tournament hosted by our friends and regular participants in our tournament. This tournament offers excellent, friendly competition at all belt ranks. It would be great to see a good number of our members attend this tournament. This is an excellent, full-scale Saskatchewan tournament hosted by our friends and regular participants in our tournament. This tournament offers excellent, friendly competition at all belt ranks. Registration information will be posted soon. It would be great to see a good number of our members attend this tournament. Other events will arise during the course of the season. Those listed above are the events that our members attend most often. Tournament participation is a great way to meet new people. You will soon find that you have a group of “Tournament Buddies” with whom you will rise through the ranks together. The Shintani Federation events are all family oriented events and are great fun for all ages of karateka. This is the annual Manitoba Provincial tournament. Many Shintani members from Manitoba attend our annual tournament so it would be great for us to return the favour! We will have more information soon. Special Guest this year is Sensei Denis Labbé – Hachidan (8th Degree) – President of the SWKKF. 11:00 to 12:30 – Sensei Jeff will be working basics, advanced basics, and partner work. This clinic is open for all adults (age 15 and up) of any belt rank, and Juniors (under 15) who are Green belt or above. This is our annual bottle drive. We will be discussing it in class and will be asking for volunteers to drive, guide, and collect bottles. Last year, this was a very successful event and we know this year will be even better! Most of these tournaments will have a group workout the night before. Details will be posted. Following the clinic, this year, we will holding a dance and social from 9 to 11 pm. The dance will be in the gym immediately following the clinic. The social, a somewhat less noisy event, will be held in the library. Earlier in the day on Friday, the National Team will be holding a workout. Shintani members are welcome to join the workout as long as they are prepared for an intense day of training both fitness and karate. More information will be available as this date approaches. This is our HOME TOURNAMENT and this year it’s a REALLY BIG DEAL!!! We would love to see all of our members out to participate! It is the 30th Anniversary of this event and many “special guests” will be in attendance. We are happy to have the Shintani Federation National Team in attendance to assist with the Friday night clinic, put on some demonstrations, and assist with judging our tournament! The team consists of 12 black belt members from across Canada. Sensei Denis Labbé – 8th Dan and SWKKF President will be returning to our tournament once again. Sensei Denis has attended our tournament many times, as has Sensei Ron, and it is always fun to participate in his clinics. Sensei Ron Mattie – 8th Dan; Senate member, and SWKKF Chief Instructor will also be returning to our tournament this year. We always enjoy having Sensei Ron at the tournament! It will be great to have him back. Sensei Ron’s workouts are always exciting and educational! Sensei Heather Fidyk – 6th Dan and Senate member will be attending our tournament as an assistant coach of the National Team. Sensei Heather is always full of energy and excitement and loves helping young karateka! We are also excited to host the other assistant coaches and trainers that will be accompanying the National Team. We have put out an invitation to anyone who has ever attended this event in the past. We hope to have many people there for the first bow-in at the clinic on Friday night. If we get enough, we hope to have a special event before the clinic starts. Sensei Alby calls this a “Learning Tournament” for all belt levels. It is a fantastic, small tournament, for our young karateka to develop tournament experience and confidence. It is also a great place for Brown Belts and newer Black Belts to work on judging techniques. It is an excellent and enjoyable tournament that is close to our home dojo. This is how Sensei Alby describes his tournament. This is a mini tournament, and, as much as possible, a teaching tournament. Higher Kyu belts and junior Black Belts are encouraged to attend, to give them experience at corner judging. SWKF rules apply. Remember, a disqualification means you are out of the Tournament. 9:00 am – Judging/Score keeping clinic – the Score Keeping clinic is open to anyone interested in helping out at any Shintani tournament. The judging clinic will be geared more toward brown and black belt members of the Shintani Federation. 10:00 am – 12:00 noon – Self-Defense Class focused on Female Assault. Everyone should try to attend one of Sensei Alby’s Self Defense classes! Male or female, he gives practical, “street” karate advice to use in situations that threaten personal harm. They are great clinics for everyone. There is a lunch for competitors and family. March 13/14, 2015 – South Calgary Wado Kai Clinic and Tournament – This is a large, full-scale tournament that offers broad competition at all belt levels along with some fun and unique types of individual and team competition. Registration information will be posted as it becomes available. April 10/11, 2015 – Saskatoon/Warman Wado Kai Clinic and Tournament – This is an excellent Saskatchewan tournament hosted by our friends and regular participants in our tournament. This tournament offers excellent, friendly competition at all belt ranks. Registration information will be posted soon. It would be great to see a good number of our members attend this tournament. May 22/23, 2015 – National Master Shintani Memorial Clinic and Tournament – Simcoe, ON – This is our National level event and is always an exceptional experience for those who attend. Virtually every club in the Federation is represented. It is the premiere tournament of our Federation. This is the event for which we have been fund-raising and hope to have a number of our students attend this year! Download the flyer for the National Tournament SWKKF_Nationals_2015. March 13/14/15, 2014 – Calgary Annual Tournament – This is a large, full-scale tournament that offers broad competition and all belt levels along with some fun and unique types of individual and team competition. Here is the information 2014 Calgary Tournament. April 4/5, 2014 – Saskatoon/Warman Annual Tournament – Warman, SK – This is another excellent tournament hosted by a Saskatchewan club. Many members from these clubs attend our tournament each year so it would be great to see some of our members attend this tournament in return. This is our “Home” tournament so it would be great to see everyone attend. The workshop on Friday night is being led by Sensei Darren Humphries – Godan (5th Degree) from Calgary, AB. Sensei calls this a “Learning Tournament” for all belt levels. It is a fantastic, small tournament, for our young karateka to develop tournament experience and confidence. It is also a great place for Brown Belts and newer Black Belts to work on judging techniques. It is an excellent and enjoyable tournament that is close to our home dojo. March 8/9, 2013 – South Calgary Wado Kai Clinic and Tournament – This is a large, full-scale tournament that offers broad competition and all belt levels along with some fun and unique types of individual and team competition. Registration information will be posted as it becomes available. April 5/6, 2013 – Saskatoon/Warman Wado Kai Clinic and Tournament – This is an excellent Saskatchewan tournament hosted by our friends and regular participants in our tournament. This tournament offers excellent, friendly competition at all belt ranks. Registration information will be posted soon. It would be great to see a good number of our members attend this tournament. May 24/25, 2013 – National Master Shintani Clinic and Memorial Tournament – This is our National level event and is always an exceptional experience for those who attend. Virtually every club in the Federation is represented. It is the premiere tournament of our Federation. Sunday, May 13, 2012 – Weyburn Wado-Kai Karate Tournament – More info to follow. February 10 – 12, 2012 – Whitecourt Wado Kai – Clinic And Tournament. Whitecourt Tournament 2012 Whitecourt, AB. March 23-24th , 2012 – Saskatoon/Warmen Wado Kai – Clinic and Tournament – Crystal Johnson – This tournament has been cancelled this year. May 18-20, 2012 – Western Canadian Championships – Olds, AB. This tournament has also been cancelled. Workout on November 25 – Workout begins at 7:00 p.m.
2010/11 – dates and locations may change. This page will be updated as changes occur. Shindo Clinic – Carlyle will be hosting a Shindo clinic early in the “2nd” session. Keep checking this page for details. September Monthly Guest Clinic – Saskatoon Wado Karate – Sensei Rathe Mokelky (6th. Dan) – Contact Sensei Shannon for details. Workout on November 26 – Workout begins at 7:00 p.m.
Women’s Self-Defense Workshop – 10:00 a.m.
Potluck lunch – Noon till 1:00 p.m. Tournament Registration – 12:30 p.m. Tournament begins at 1:00 p.m.
Download the Flyer Here: 23rd_Annual_Manitoba_Tournament IMPORTANT: The flyer has the incorrect date and year at the top!